Multichannel Selling: What is it, Why do I need it and How do I do it? Situation: Your ecommerce business is doing brilliantly but you want it to do even better. When looking to increase online sales and customers, multichannel selling is branded as the one and we’re here to explain the how and why. Why Should You Be Multichannel Selling? A recent survey found that 69% of online shoppers prefer shopping in online marketplaces (such as Amazon, eBay and Etsy) – meaning that you need to be selling on an online marketplace in addition to your own website, otherwise you could be missing out on potential customers. However, another recent survey found that 65% of online shoppers head straight to their favourite online marketplace or retailer website when looking for items – bypassing Google completely – meaning that even if you are selling on one online marketplace, you could still be missing out on potential customers who head straight to the marketplace you’re not on. Selling on multiple sales channels, increases your online presence and means that you’ll be there wherever potential customers are starting or ending their searches. For those online shoppers who do visit multiple sales channels in one online shopping session, your repeated appearance will build brand recognition and trust. Once they click that buy button you’re ongoing communication with them, directing them to your website, with help to develop this relationship and lead them to head directly to your own shopping cart for future purchases. Multiple manual data entry is prone to human-error. Notice a mistake and then you have to log into each sales channel and individually correct the error, which is #1 time consuming. Managing your inventory on one sales channel is simple but add other channels to the mix and you either need to ring-fence stock or be in a cycle of constantly monitoring and updating stock levels on each channel. Failure to do so can result in being out of stock and/or overselling: Both bad for your brand, reputation and sales. Not only is this more important than ever with multichannel selling but it is also going to be more complicated than ever. Multichannel selling requires you to be in several places at once – hello greys. Fortunately for you, multichannel ecommerce management software exists, to take away the complexities and replace them with time, peace and sales. What is Multichannel Management Software? Multichannel management software sits between you, your shopping cart and your online marketplaces. Data, such as listings, stock, orders, shipping and payment information flows between all of you; meaning that you can log into one place to control all of your places. Simply, it integrates your shopping cart, Amazon, eBay and Etsy accounts into once simple dashboard. How Does Multichannel Management Software Help? Create, upload, list and edit products to each of your multiple sales channels from a central location and in bulk. This includes your descriptions, images and site-specific information for Amazon, eBay and/or Etsy. View, process, track and download all of your orders from a central location, as well as creating and batch printing packing slips, pick lists and invoices, whilst simultaneously updating the data on each of your sales platforms. Live inventory syncs your stock across all of your sales channels, preventing over-selling and allowing you to manage your stock levels and fulfil customer expectations (saving your brand and reputation in the process). No more ring-fencing. Multichannel software can integrate directly with shipping carriers, allowing you to batch print shipping labels, invoices and other paperwork, whilst sending this information directly to your sales channels. You can integrate your data directly into your accounting software, as well as having central access to all of your data; again reducing the need to manually retype in accounting and order information and allowing you to keep track of your business and make informed business decisions. How – Multichannel management software, my friend. Expandly are the provider of multichannel management software for small ecommerce businesses. The Expandly platform was built with the small business in mind, right from the start. It is simple, easy to use and focussed on helping small ecommerce businesses go from home-office or unit to warehouse. 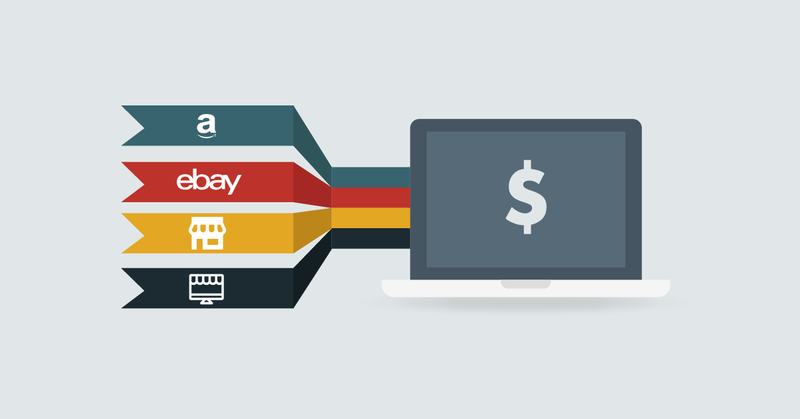 Integrating with eBay, Amazon, Etsy and over 30 shopping carts.